The Optoma ML550 is one of the first of a new generation in the highly portable LED projector category. Meant for both business presentations and casual home entertainment use, it shares most of its features with other models in the same size and weight class, including a 1280x800 DLP chip and the ability to read files from microSD cards, USB memory keys, and its own internal memory so you can leave your laptop at home. However, it also pairs the small size of earlier generation 300-lumen models with a significant boost in brightness, at a rated 500 lumens and a measured brightness over 400 lumens. Widely available for a little less than $500, it's easily worth the price. Why would you buy the ML550 when for $100 more you could buy the ML750? If the ML550 is the projector you are saying I am getting for $100 more than projector X to get 500 Lumen (and any of the other features) over the 300 or 400 lumen projector you were originally looking at. You've got to watch the claims of long LED lamp life. It's more than a bit of a scam: over time the lamp gets dimmer and dimmer. On my Acer unit a note popped up on the screen at around 2000 hours advising that it would no longer produce the light necessary for bright mode and suggesting lamp replacement. It was impossible to get hold of Acer to make my complaint. The performance of that projector is now increasingly wishy-washy so I'd suggest you view LED projectors as primarily good for portability particularly as more conventional projectors have lamps that last over 4000 hours now. Have a problem with my Optoma ML550. The projector work great when directly connected to different sources with HDMI - roku, HTPC, PS2, chromecast. However, when an HDMI switch is used, no video is displayed by the projector. A TV connected with the same cables, works perfectly. I've tried 3 different HDMI switches, including a powered J-Tech "matrix" one. I've swapped all the HDMI cables and tested with the projector AND the TV. TV works, projector doesn't. It is not an HDCP issue - I've seen the "non-compliant hardware" warning from the roku connected to a computer monitor. That isn't it. Swapping the HDMI cable to use another device is getting old. 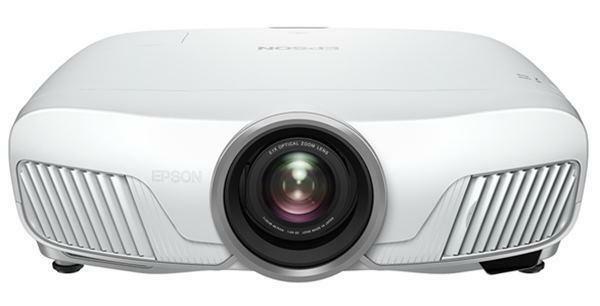 Does anyone have an HDMI switch that actually works with the Optoma ML550 projector? These are cross-branded... ACER seems to be the originator - it's identical to the K series... in this case a K135. Acer spec's theirs at 600 lumens, but other than that, it's the same beat... different skin. Look at all of the physical aspects... connectors, card slot, IR sensor, cooling openings, lens, etc. I have the K132 which is why I recognized it. It would be interesting to know who actually makes these... when I mod'd my Acer (to get direct audio output), I saw no names internally.